Well, you can have four ears, but at a price. If, after tying the knot, you take one of the loose ends and pass it right through the body of the knot between the front and back layers you can create a fourth ear. The problem with this ear is that it is unsupported by any structural loops and so it will thus have to snug up against the centre square. In order not to look funny, you'll have to take all the slack out of the the other ears so that they match (see left) or you'll have to sew the faux ear into place so that casual handling won't remove the shape of that ear. 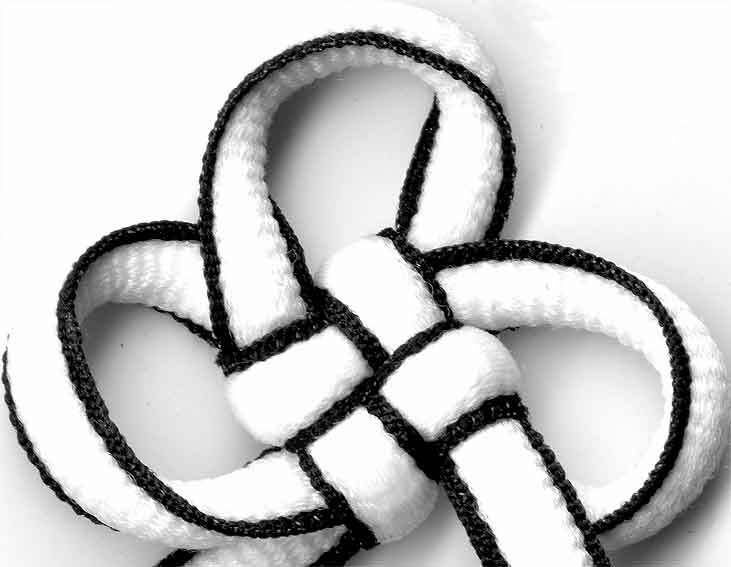 Whatever you decide, you'll notice that instead of 2 cords coming out of the bottom of the knot, what you now have is a cord coming out of the bottom and the top (or the two sides if you decide to rotate it 90°). Standard Asian knots, especially if you are chaining them together (if not, consider the top ear to be loose ends! ), have 2 cords entering from the top and two cords exiting from the bottom. This is the very definition of a two strand lanyard knot from Ashley's. So, what do you call a knot with only one cord going in the top and one cord coming out the bottom? 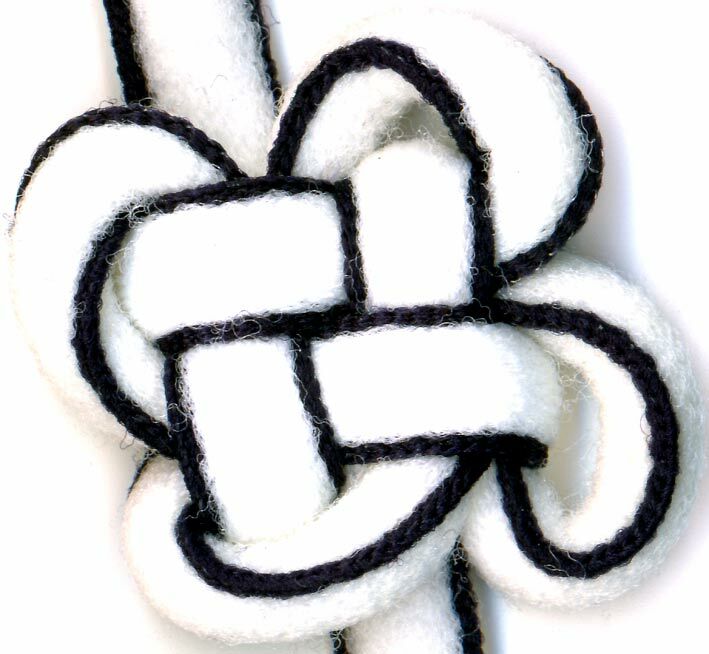 I call it an inline knot, hence the title of this post: "Inline Square Flower Knot". Ashley called them single strand lanyard knots. I think my term is shorter and more descriptive, but you decide for yourself what you want to call them, if anything. This is the first post of many where I tie some of Ashley's knots that I researched in my previous post about mystic knots and Ashley.